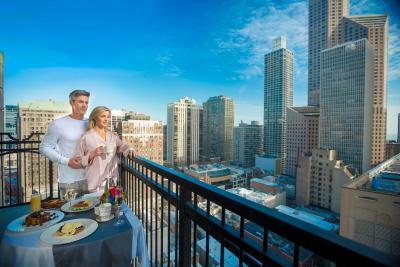 Lock in a great price for Waldorf Astoria Chicago – rated 9.3 by recent guests! The room was clean and the bed was great. Love the staffing. 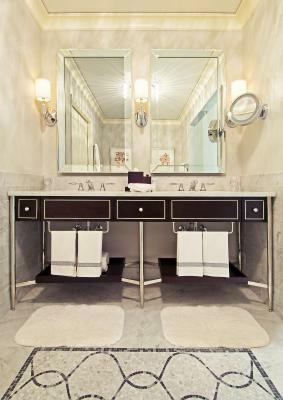 Design and cleanliness. Comfort and quality of premises. All members of the staff were friendly and helpful including the person who worked at the cafe in the lobby. 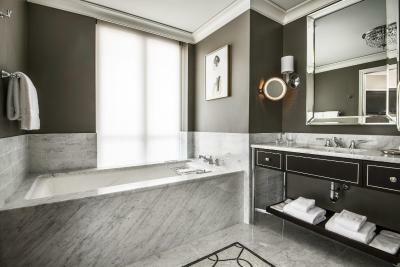 The marble bathroom in the room was perfect and we liked the fragrance of the complimentary shampoo, conditioner wash gel and lotion. The gym equipment was well maintained and clean and there was a nice variety of machines and weights. The spa area was clean and felt luxurious. 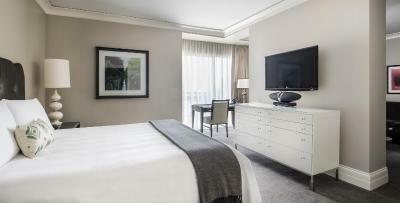 The location of the hotel was perfect in close proximity to shopping and fine dining. Everything. The best hotel experience that I have had. The staff is top of the mark. The hotel was top of the mark. Comfortable. Amenities were great. Location was great. Overall a tremendous experience. This hotel is the definition of style and elegance. From the moment you pull in the staff are right there to help with all your needs and make sure you don't have to lift a finger! The staff was so helpful at checking us in late at night. They gave us great ideas about where to eat with kids and good activities for families visiting the city for the first time. This was a Bday-60 girls celebration for the day, with a spa retreat at the hotel. Everything from meet and greet to service at the spa and room accommodations was absolutely flawless. We were made to feel like queens for the day. Thank you staff at the waldorf for making a special day a memorable day. Great hotel! Well kept and very quiet. Plus location is hard to beat in the middle of everything! 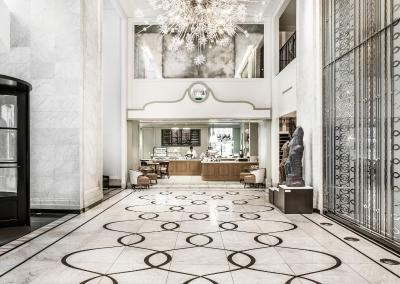 Waldorf Astoria Chicago This rating is a reflection of how the property compares to the industry standard when it comes to price, facilities and services available. It's based on a self-evaluation by the property. Use this rating to help choose your stay! 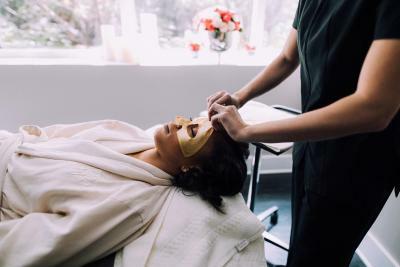 Located in Chicago’s Gold Coast neighborhood, this luxury hotel features an on-site spa & wellness center, as well as a restaurant. 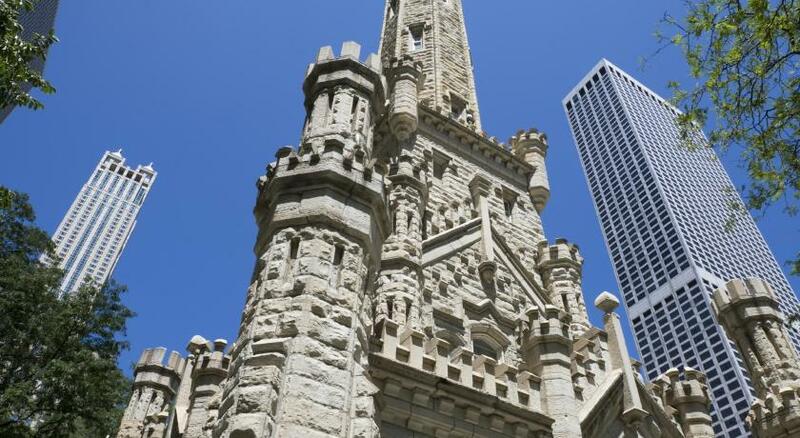 Shopping along The Magnificent Mile is within 5 minutes’ walk. 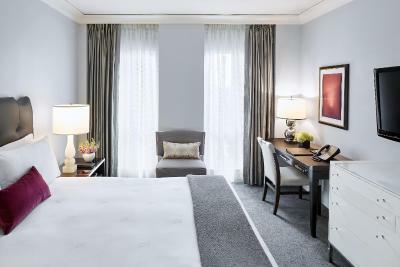 Each room at the Waldorf Astoria Chicago features a flat-screen TV, a microwave, and a refrigerator. They are styled with contemporary designs and rich fabrics. 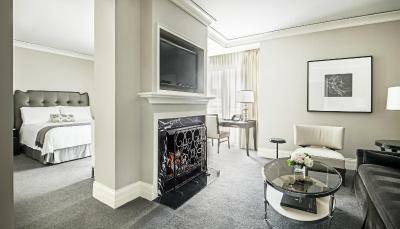 Select rooms have a fireplace or sofa bed. Relax at the spa and health club with a massage or a dip in the indoor pool. 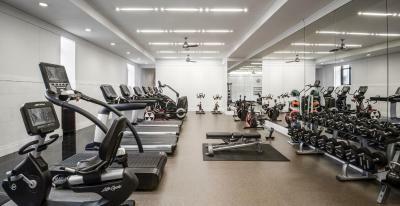 A modern fitness center is also available at the Chicago Waldorf Astoria. Petit Margeaux is located on-site and offers classic French cuisine. 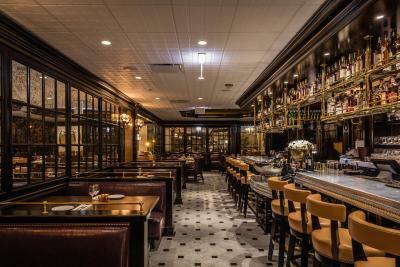 Guests can enjoy elevated French cuisine made with locally-sourced ingredients at the hotel's Parisian cafe, Margeaux Brasserie. 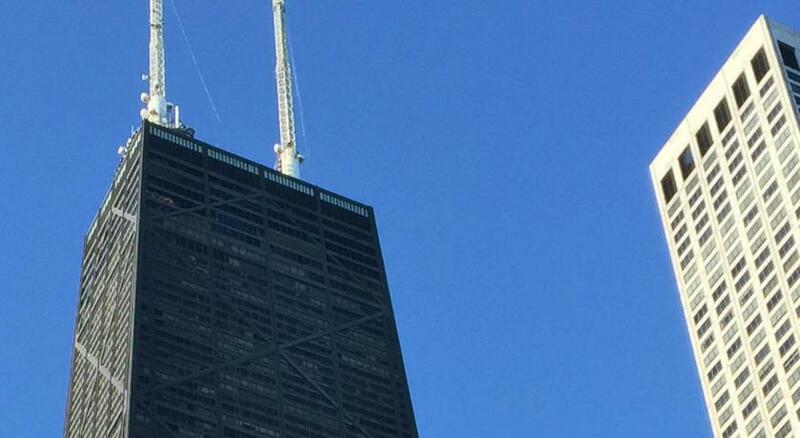 The Navy Pier is 2 miles away. 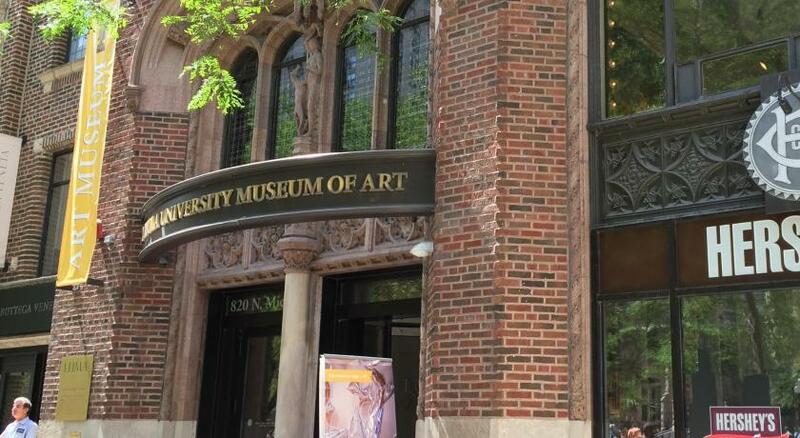 The Museum of Contemporary Art Chicago is 10 minutes’ walk from the hotel. 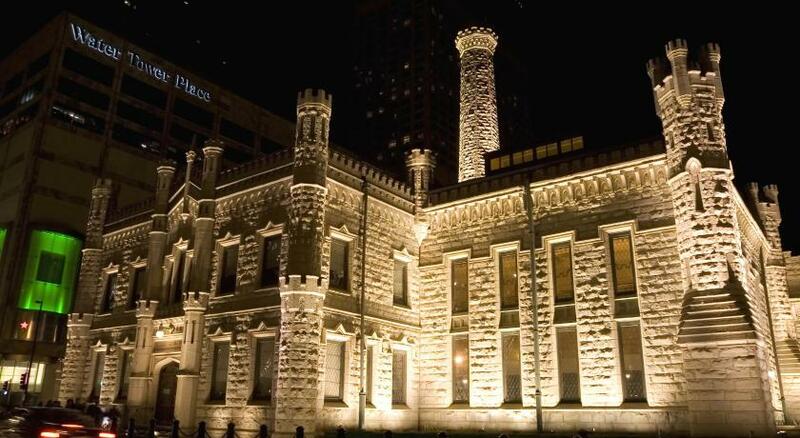 This is our guests' favorite part of Chicago, according to independent reviews. 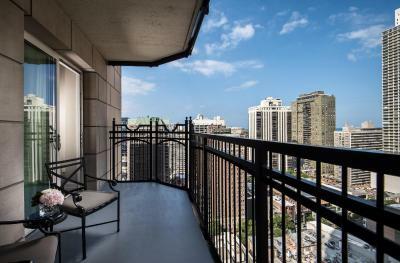 This property also has one of the top-rated locations in Chicago! Guests are happier about it compared to other properties in the area. 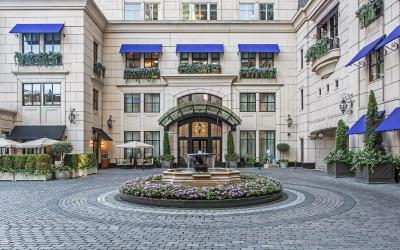 When would you like to stay at Waldorf Astoria Chicago? 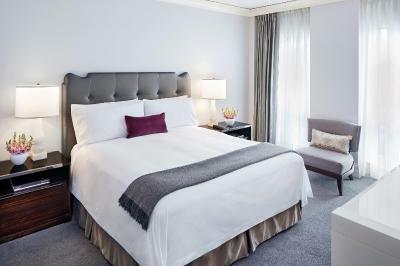 This spacious room features free Wi-Fi, a 42-inch flat-screen TV, and an iPod docking station with surround sound system. 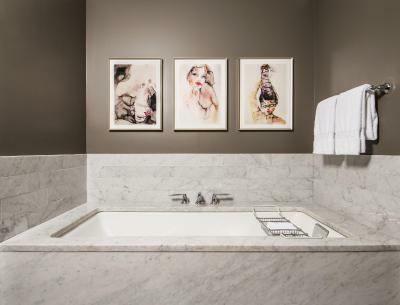 Also included are a fridge, microwave, and a large soaking tub in the private bathroom with an inset flat-screen TV. Private parking is available on site (reservation is needed) and costs USD 70 per day. This room features a flat-screen TV, microwave, and refrigerator. 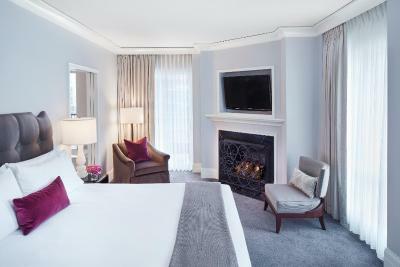 This spacious room features a fireplace, free Wi-Fi, a 42-inch flat-screen TV, and an iPod docking station with surround sound system. Also included are a fridge, microwave, and a soaking tub in the private bathroom with an inset flat-screen TV. 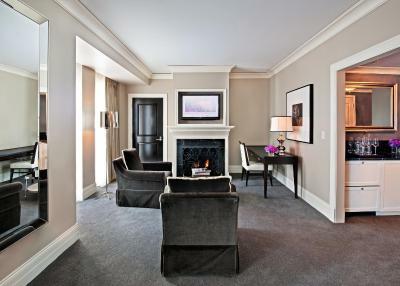 This large suite features city views, a fireplace, and a living area with queen sleeper sofa. Free Wi-Fi, a 42-inch flat-screen TV, and a fridge and microwave are also included. 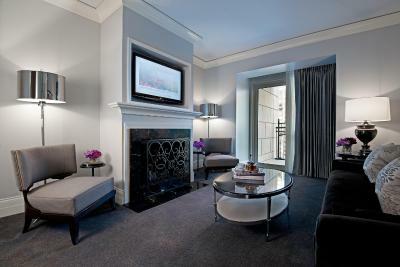 This suite features a fireplace, a sofa bed, and a private patio. Two 42-inch flat-screen TVs and free Wi-Fi are provided. A fridge and a microwave are also available. 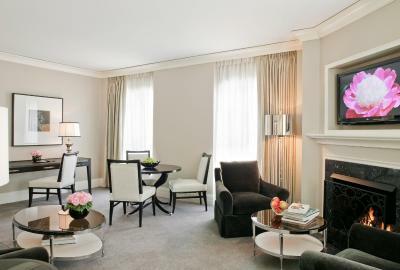 This large suite features a balcony, fireplace, and separate living and dining areas. Free Wi-Fi, 2 42-inch flat-screen TVs, and a wet bar with a fridge and microwave are also included. 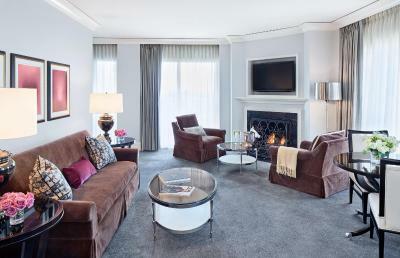 Offering city views, this suite includes a furnished outdoor terrace and a fireplace. 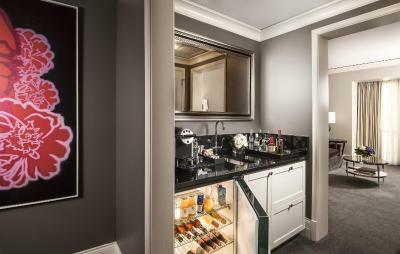 A queen sleeper sofa, free Wi-Fi, and two 42-inch flat-screen TVs are also included in this suite with a fridge and microwave. This double room has air conditioning, seating area and iPod dock. This double room features air conditioning, cable TV and microwave. This double room has a seating area, air conditioning and iPod dock. This double room features a microwave, seating area and air conditioning. Boasting Parisian-inspired elegance in downtown Chicago’s premier Gold Coast, the Waldorf Astoria Chicago offers luxury travelers an urban sanctuary featuring spacious apartment-style accommodations including rare private terraces and in-room fireplaces -- plus the opportunity for an award-winning spa retreat. 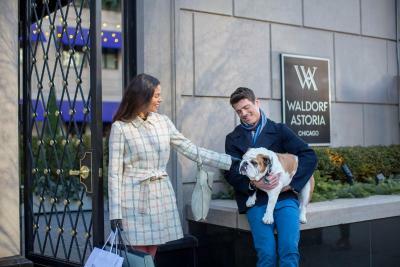 House Rules Waldorf Astoria Chicago takes special requests – add in the next step! Waldorf Astoria Chicago accepts these cards and reserves the right to temporarily hold an amount prior to arrival. A valid photo ID and credit card are required at check-in. Special requests are subject to availability, can't be guaranteed and may incur additional charges. Poor experience at reception and a charge was made that we didn’t incur. Professionalism of staff. I called in advance of booking the hotel to ask if all spa services work (swimming pool, sauna, etc.) They confirmed it works. When arrived I discovered that women’s sauna doesn’t work temporary. I was with friends, including two females, and out purpose of booking the hotel was mainly to use spa. After the long discussion, they finally allowed to use spa in neighboring hotel and provided transportation for women up on my request. The work hours of the spa was also misstated over the phone. The fireplace had only one setting on/off. As a result the room became warm quickly even when using the air conditioner. Multiple settings or at least a low setting would have made the fireplace more useable. Closet space and drawers were limited in the corner room. An extra dresser with drawers would have been useful for our 5 night stay. The main restaurant in the hotel Margeaux should make guests staying in the hotel feel more welcome. We always felt like we were intruding when stopping in for breakfast. The restaurant was never overly busy so this was confusing to us. There was nothing about this hotel that I disliked. Elegant feel & excellent staff. Beautiful hotel with friendly staff!! Close to shopping and restuarants! !